Are you ready to have fun? 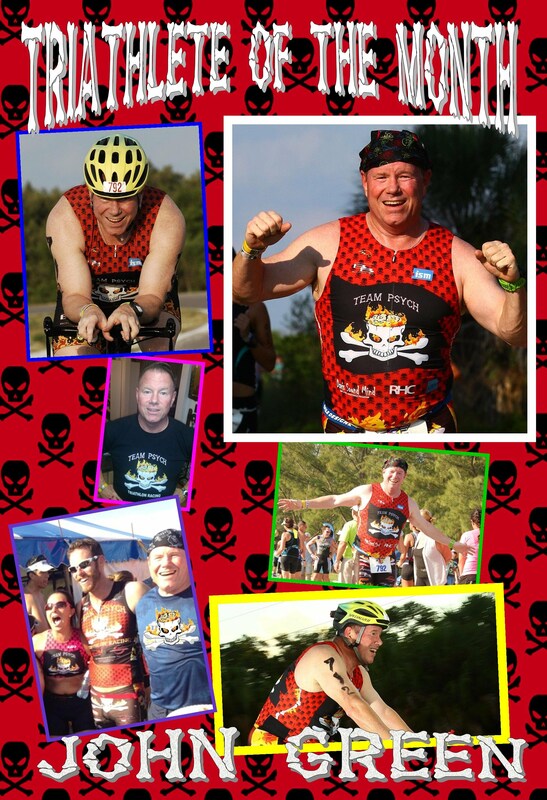 Team Psych Triathlon Club is a fun loving group of folks that like to "Train Hard, Race Fast, Party Hard, and Give Back!" We are individuals, couples and families that range from novice (Tri Virgin), and have never competed in a triathlon - to folks with over twenty years of tri experience. We race in the individual, relay and club competition category as we are an official USAT & Ironman club. So, even if you can't swim proficiently but have a bike, or need to master running a little better, come join! We'll help you experience fun like you've never experienced before. We do all this, plus engage in 'giving back' activities that range from volunteering, registering for athletic events, raising funds for others, to helping new members gain skills for the triathlon. Our current local charitable organization we contribute to is Success 4 Kids & Families. Our own program Triathlon for Troops offers a one year free membership to active duty military members & their families that train, race, and party with us. If you are a recently discharged, even if you have physical challenges - contact us for the same benefit. Oh Yeah, that's how we roll!